An unrivaled quality mast for learners and intermediates. With 40% Carbon content made by top-end Pre-Preg process this is a longlasting spar with awesome value-for-money. 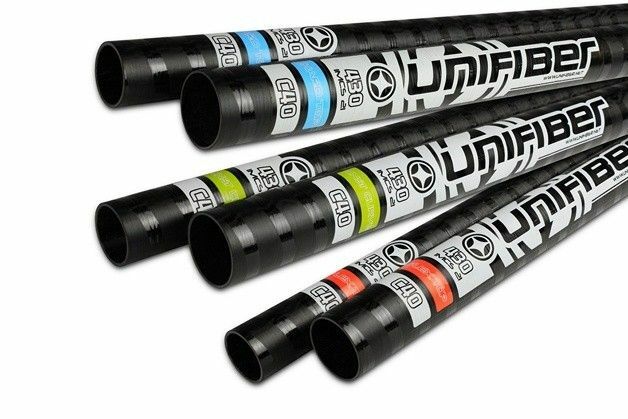 Unifiber windsurfing masts offer unbeatable value for money, performance and durability thanks to a consistent pre-preg manufacturing process, with stronger, integrated ferrules and a high-quality surface finish. Unifiber offer 99 different choices of carbon content, diameter and 3 different bend curves to match almost any sail. (Check out the Mast Selector Tool to help you pick the right model.) We offer a comprehensive 1-year unconditional warranty on all masts and 2 years cover for manufacturing faults. Check out the Unifiber Mast Selector Tool: http://www.unifiber.net/mast-selector - All mast finishes feature radial compression layers (Top and bottom on RDMs) - Flex-Top curves dedicated to NeilPryde and Attitude Sails All masts are sold without mastbag, mastbags are optional and in combination with a mast available at a special discounted price.